Would Lamborghini have any incentive to fake the record Nurburgring lap time set by the Huracan Performante? The record Nurburgring lap time set by the Lamborghini Huracan Performante should have been a landmark moment for the manufacturer. Instead, it’s attracted controversy, as skeptics have accused Lamborghini of faking the 6:52.01 lap time. Some have analyzed the footage and claimed that the in-car and on-screen speedometers don’t match. Others are saying the footage has been sped up from 24fps to 25. James Glickenhaus has even suggested a new Nurburgring “Road Cup” to prevent dubious production car lap times. It's all a bit overblown. Lamborghini has since presented GPS data authorizing the lap time, and has commented on the situation in an interview with Motoring. “Why would we (cheat)?” Lamborghini president Stefano Domenicali asked, who must be tired of all the accusations. “We have all the data, all the GPS data. It’s verified. It’s already verified,” he affirmed. 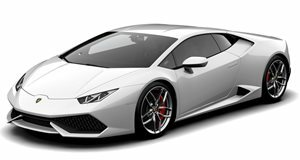 In fact, the manufacturer already predicted the Huracan Performante would set a new production car record time around the Green Hell. “The simulation we did before we did the lap was already better than the previous time,” referring to the previous Nurburgring record set by the Porsche 918 Spyder. “We did a TT production racer for the ‘Ring with about 380 horsepower and gave it maximum wing. It was so slow down the straight that everybody passed it, but the overall lap time was very, very fast. Much faster than without the aero downforce. So I know how much real aero downforce gives you and Lamborghini worked out how to get it without paying for it down the straights.” This likely won’t be an end to the controversy, but there’s no doubting that both manufacturers make a compelling case for the defense.